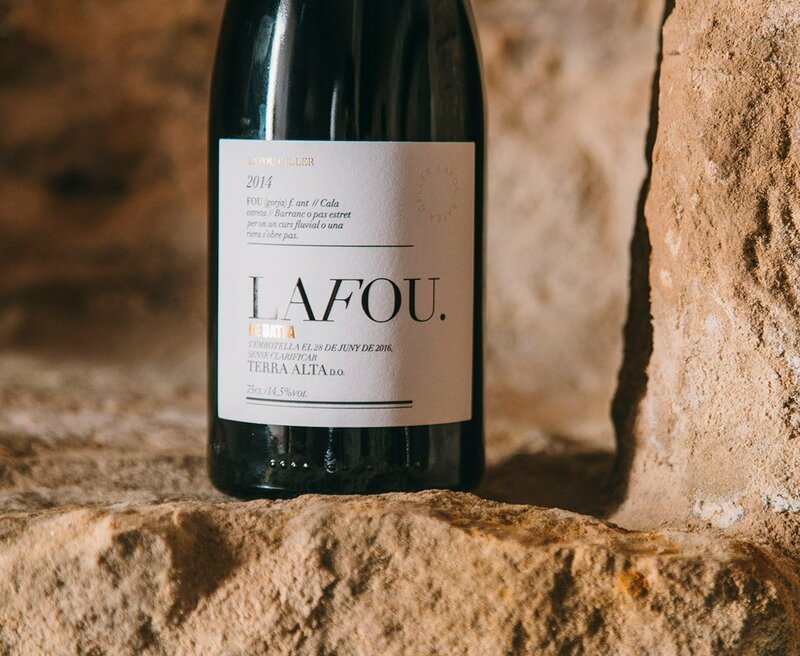 This is LaFou’s most personal wine. It is made on a micro scale in a separate process with grapes from vineyards which are 50 to 70 years old, and where Red Garnacha and Garnacha Peluda grow together smaller proportions of the Samsó variety. The grapes are harvested manually and as soon as they are taken to the winery, they go through a cold room where they are cooled at 5ºC. After destemming, the grapes are fermented in small deposits of open stainless-steel vats that use a pump over system (aerial pigéage). The wine is aged for 12 months in Central European 300L oak barrels and in concrete egg vats. The resulting wine has a deep cherry color, and presents a wide range of aromatic sensations. Shades of raw hazelnut, red fruit and hints of balsamic that evoke undergrowth, which then evolve into notes of plum and black olive. Entry into the palate is fresh, giving the fruit good acidity that balances well with the sweetness of Grenache and gives the wine a long finish.